The Seth Godin Action Figure has been discontinued and is no longer for sale. If you have a great memory of it or would like us to bring it back, leave a comment on this post and let us know. Remember, we still have plenty of other action figures available now! Seth Godin is a great guy and a wonderful marketer. We read his blog every single day. It was like he wrote his book Purple Cow about us! So, when we were thinking about inspiration for action figures, his name was at the top of our list. 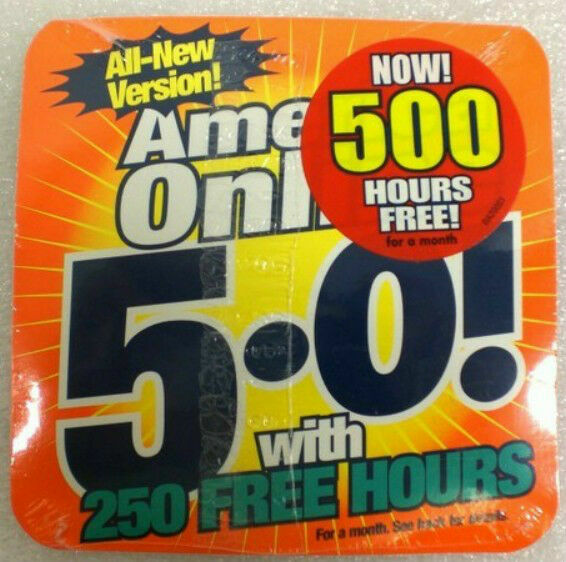 The packaging drew inspiration from free AOL disks and he came with a book of marketing secrets. Scroll to the bottom to see prototypes and products specs. Imagine having your own personal marketing guru you can go to for advice and guidance. You could pay millions of dollars for consultants, but why not just get the Marketing Guru Action Figure? Marketing genius and famous blogger Seth Godin serves as the model for this 5.375" plastic action figure with his trademark mismatched socks and business casual clothes. Each figure comes with a free gift and the Little Book of Marketing Secrets. It's rumored that if you want an insight into what your customers want and how they'd like to be communicated with, you can rub Seth's bald head and all will be made clear. Seth did this interview in 2008, so keep that in mind while reading it. When we were looking for a model for our Marketing Guru Action Figure, one name came up again and again: Seth Godin. In addition to his career as a world famous marketer and founder of websites, Seth also writes an extremely popular blog. He preaches the end of marketers as media buyers and instead pushes them as agents of change. In his book Purple Cow, he writes that products sell and ideas spread not because of marketing is done in their name, but because they are remarkable. He mentioned us in this book, which makes it one of the greatest works of non-fiction ever written. His latest book, Tribes: We Need You to Lead Us, talks about the power of having a strong following that looks forward to your products. We are not mentioned in this book, but it's still a darn good read. To get a good feeling for the power of his ideas, we recommend you watch one of his TED talks. He agreed to let us ask him a few questions about having his own action figure, the state of the world and exactly how awesome Archie McPhee is. You can read his answers below. Archie McPhee: How has having an action figure of yourself changed your life? Seth Godin: You wouldn't believe it. First came the movie offers but Brad Pitt wanted top billing, which was completely unacceptable. And of course, the groupies Then, the inevitable crash. My hair fell out. AM: Has anyone questioned your sanity for having an action figure of yourself? Would you recommend it to others? SG: Many aspire, few are chosen. The action figure proceeds go to charity (the wonderful Acumen Fund) and I'm proud of every one you've sold. But I'm amazed that some people think that this is serious, that I actually believe that I'm a guru and that I might expect you to put this on your dashboard. I don't. However, if you want my face on your grilled cheese, that's fine with me. AM: What is your favorite thing someone has done with your action figure? SG: There are some great photos on Flickr of me with an Archie McPhee unicorn. AM: Nancy Pearl offered you the following advice: Don't get the real you confused (in your own mind or others) with the action figure of you. Has this happened to you yet? SG: I have some advice for Nancy Pearl: quit hogging the action figure limelight! You outsell me. Curses! AM: If you had to say something awesome about Archie McPhee what would it be? SG: Archie McPhee is so awesome that its not even necessary to say anything awesome about it. Are you on the bus? SG: Oh, come on. Narwhals. Narwhals. Narwhals. Not only the star of the B-52s song, but an actual creature, not some chicken-sh** doll for stunted 13 year old girls. AM: If your action figure were to fight Mr. Bacon, who would win? SG: I hate Bacon. Bacon is my kryptonite. AM: Why does your action figure wear mismatched socks? SG: Because *I* wear mismatched socks. Every single day for the last four years (different socks every day, of course). You can buy yours at LittleMissMatched.com. AM: What did you have for breakfast this morning? SG: Same thing I have every single morning. AM: Does the word blogosphere irritate you? What about webinar? SG: I find it irritating if it gets in my eye. But in general, its fairly easy to digest. Same with webinar. Word I hate the most: axe. As in, I need to axe him. AM: What is the best CD you've heard this year? Best book you've read that isn't related to business or marketing? SG: Have you heard the CD of Amy's Answering Machine? Its magnificent. Best book? All My Friends Are Superheroes. AM: Have you ever walked out of a movie? Which one? SG: When I was filming that movie with Brad Pitt, I walked out. But that's a special case. I walked out of the original Texas Chainsaw Massacre. It might have been the sound system. Or perhaps I was going to vomit. AM: Do you think Squirrel Underpants can fix the economy? AM: Any final thoughts or stories that you want to tell? SG: Do your part. Buy something. Seth Godin, best-selling author and the father of the permission-based marketing movement, was born July 10, 1960 in Mount Vernon NY. He began marketing products at the age of thirteen but didn't make a big splash until high school when he started selling ice cream sandwiches to other students. He founded Yoyodyne, one of the first marketing companies to focus on online marketing, and eventually sold it to Yahoo. After writing a series of best-selling marketing books, he is now widely regarded as the master of modern marketing philosophy. When hes not writing books, Godin entertains audiences as a public speaker and writes a tremendously successful blog. Seth believes that in our modern age we have so many choices for information and entertainment that advertising should no longer be forced on anyone. Instead, smart marketers must get permission to advertise to people, and present them with honest representations of the product. He argues that things like Spam and junk mail will not only be ignored, but make consumers resent the product. In this new age, the best way to advertise a product is to create a product so remarkable that people will talk about it. Seth refers to these products as purple cows. In other words, there are lots of action figures of movie stars, but the idea of making an action figure of a marketer is surprising and different enough that people will talk about it. Please bring it back. The eBay ones are so pricey (justifiably), they’re more than I could manage. I’m not sure how I missed this SG action figure, but clearly I need one. Bring the Seth back! All super-heroes have action figures, but I doubt most of them have helped as many real people as Seth has. Bringing him back will help inspire even more people! I just bought one on eBay and it arrived today! While a collector might have a breakdown…I opened mine up! Seth will live in my car next to my Paul Stanley – Alive! McFarlane action figure. Two of my heros and each in his own right rocks. Paul with his 7” heels and Seth in his mismatched socks. Please bring him back!!! We need him in these challenging times!